“Dhoni finishes off in style. A magnificent strike into the crowd. 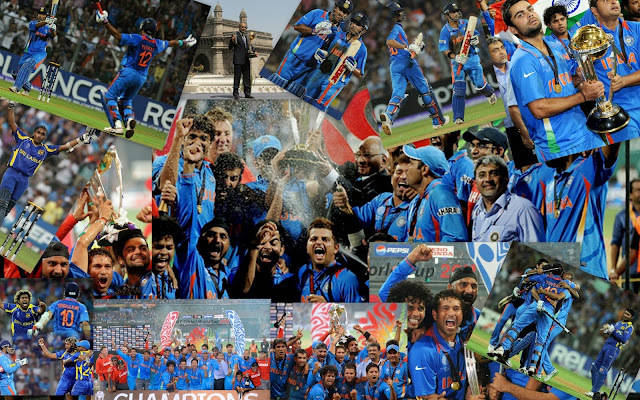 India lift the World Cup after 28 years. The party has started in the dressing room. These words still echo in the ears of Indian cricket fans and the flashback of each and every moment of that day, 2nd April, 2011 just appears infront of the eyes. Captain MS Dhoni smashing away a sixand rotating his bat. Team India jumping with joy in the dressing room. Crowd of thousands in the stadium roaring "INDIA INDIA". Sachin Tendulkar on the shoulders of the team members taking the Lap of Honour. Millions of eyes with salty water of joy. And lastly the Indian streets packed with supporters celebrating such a big achievement. 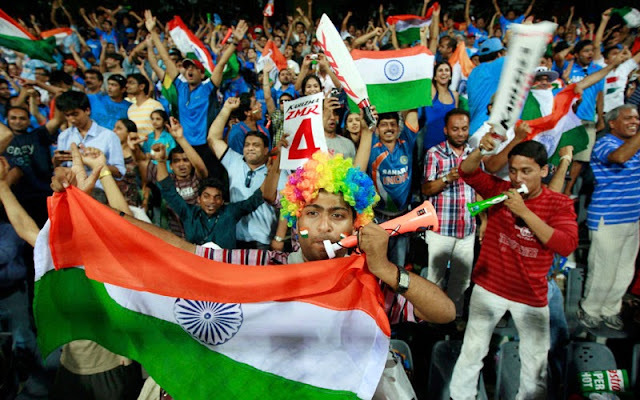 In India, Cricket is something which people feel attached to. Here, India wins a match, celebrations begin. There, India loses a match, people lose their heads. Not only this but the work and study schedule, holiday plans, meetings etc are planned according to the schedule of the Indian Team. 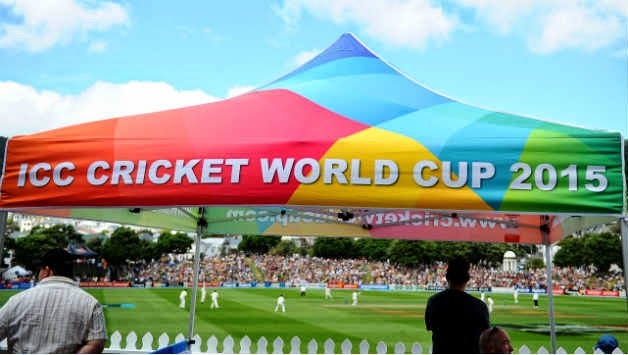 The ICC Cricket World Cup is the biggest Cricket tournament and be the matches at any hour of the day, millions of fans make sure they don't miss a moment. We are just a few days away from the 11th World Cup and the buzz, excitement, predictions are on a high. Star Sports' campaign for the World Cup has introduced a very interesting hashtag for the Indian followers to trend, #WontGiveItBack which suggests that Indian fans will do all sort of things, criticize, challenge, curse etc, but at the end their tremendous support will always be with the Dhoni led team. The team, the fans, the country is willing to defend the title and bring it home again. This is surely going to be a tough task as the tournament is Down Under this time in Australia and New Zealand where India has not won a single official International Match since a long time keeping the 'Draws' aside. Talking of more factors, one - Indian side consists more youngsters and for majority of them it is going to be their 1st World Cup. Masters like Sachin Tendulkar, Sehwag, Yuvraj, Gambhir and Harbhajan are not a part of the team which means that the Indian squad for the Big Tournament is not very experienced. Fitness issues have also been hovering above the team in the recent months. Taking South African side into consideration, it consists of strong players who might pose a threat for the Indian youngsters and they are among the favourites to take away the Cup this year. Sri Lanka has one of the most experienced squad and for some of the legends in the team, it might be their last World Cup. And well, of course Australia and New Zealand apart from having great players also possess home advantage. India face Pakistan in their first match and Proteas in the second and both of these are crucial and must win encounters for the team to get a boost for the matches ahead. 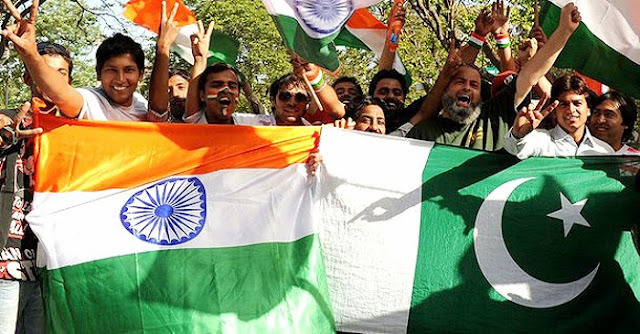 India vs Pakistan is a face off which no one wants to miss, leave aside Indian and Pakistani fans whose arguments and fights can be seen on the social networking websites even when there is no game between the two teams. It is that match in which viewers don't move an inch and keep cheering sitting in front of their television sets. It is that match in which verbal spats are common between not only the fans of the two teams but also the players themselves. It is that match in which patriotism overflows from the veins of people from both the sides of the border. All and all, it is that match which arouses the most happy feelings among the supporters of the winning team and the most ugly feelings among the supporters of the losing team. Be there 100s of negatives over 10 positives, fans come out in a huge number when their team needs support. There maybe not be a Sachin Tendulkar or a Virender Sehwag but there is a Team India which is an emotion for the residents of India. Me, Akshata Tilwankar being an Indian will take my heart out to support my team but along with that I wish the other teams, all the very best as well. 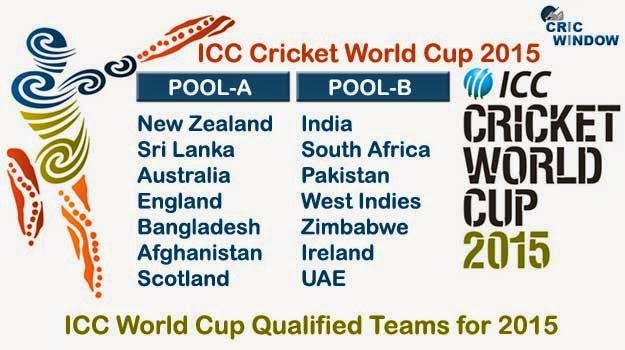 At last I hope the 11th Cricket World Cup turns out to be a great mixture of entertainment, thrill, last-over matches and above all—one and a half months of beautiful cricket. It comes once every four years, so embrace it, and may the best team win. Stick with TheSportMatrix for full World Cup 2015 coverage. 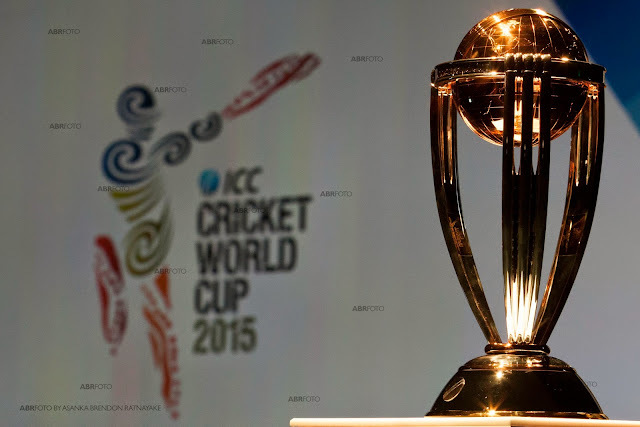 Gear up for the 2015 Cricket World Cup.